The search ends here! 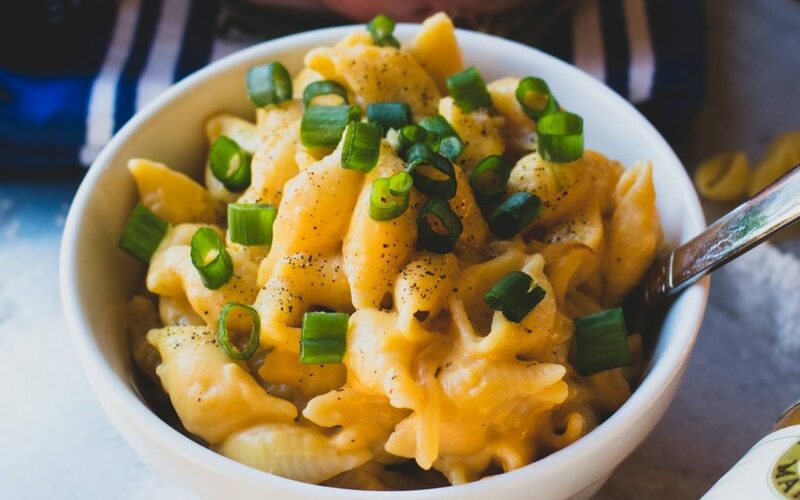 We’ve done all the testing, and are happy to say we have found the perfect Butternut Squash Macaroni and Cheese recipe! This recipe comes together in under an hour, but is possibly the best macaroni and cheese we’ve ever tasted! Perfectly creamy, with a satisfying blend of cheesy, salty, and sweet we’re never giving this recipe up. Great for a holiday meal, or an every day quick dinner this recipe is sure to become a new favorite! 12 oz. Macaroni or any other noodle of choice! Cook the pasta according to the package instructions, and set aside. In a large skillet or dutch oven, melt 2 tablespoons of butter over medium-low heat. When butter is shimmering, add onions and cook on medium-low heat until caramelized, about 10-15 minutes. Once onions are caramelized to your liking, remove them and set aside. In the same skillet, melt remaining butter until shimmering. Slowly add flour, 1 tablespoon at a time and whisk until a thick sauce forms. Cook for 1 - 2 minutes, then slowly stir in milk whisking continuously. Taste, and add seasoning as desired. Slowly incorporate butternut squash, and stir until combined and heated through. Slowly add shredded cheese, and heat until melted. Add macaroni and onions to the sauce, and cook for an additional 1 - 2 minutes or until the mixture is combined and warmed through.